Make a connection. Win a customer. Leveraging advanced visitor intelligence data, the Justuno conversion optimization suite utilizes predictive analytics to deliver actionable insights that personalize every step of your customers’ journey. Unleash the power of visitor intelligence data to surface deeper insights and deliver targeted messaging designed to turn visitors into customers. Combine real-time behavioral data and transactional data to create a relevant and personalized experience for every segment of your audience. Display messages to highlight universal offers such as free shipping or countdown timers across all pages. Better understand your visitors and their onsite behaviors to create powerful and engaging lead capture promotions that keeps visitors coming back. Engage consumers one-on-one with welcome messages, cart reminders, and more using Facebook Messenger opt-in checkboxes. Appeal to your visitors natural curiosity while collecting information with interactive spin-to-win giveaways and promotions. Receive a free, never-expiring Justuno account to use on your agency’s website, manage multiple client accounts, and understand the power of our solution before you recommend it to clients. Receive one-on-one training and support, including advanced strategy tips, from our dedicated Partner Support Team. Choose the referral model best for your agency and gain rewards to unlock partner benefits based on partnership tiers. "Justuno has allowed us to scale extremely quickly and makes our email overlay process seamless." "Since moving to Justuno we have tripled our performance and understood our customer behavior during rapid growth." "I’m impressed with the flexibility of the platform and the Professional Services team helped us quickly implement a variety of tests." Use our layer-based design canvas to create professional and refined promotions built to engage. Start with a blank canvas or select a pre-built template — you’re in control. Integrate your e-commerce platform, email service provider, or any of your other favorite tools to easily sync your data across your full marketing stack. Tap into the power of our visitor intelligence data to create smarter omni-channel messaging that cuts through the noise to increase conversions. Maximize campaign efficiency with consistent and incremental optimizations. A/B test messaging, imagery, and more to fine tune your strategy. Justuno’s core visitor intelligence technology utilizes predictive analytics to create actionable insights that help you make informed decisions to improve sales and the customer experience, all at once. Combining the power of your audience’s micro-interactions with billions of additional user sessions, Justuno layers strategic, intelligent data into every product and feature. Learn how our core technology can help you discover hidden segments and new opportunities for your business. We have been ahead of the curve for nearly a decade, and we don’t plan on slowing down. 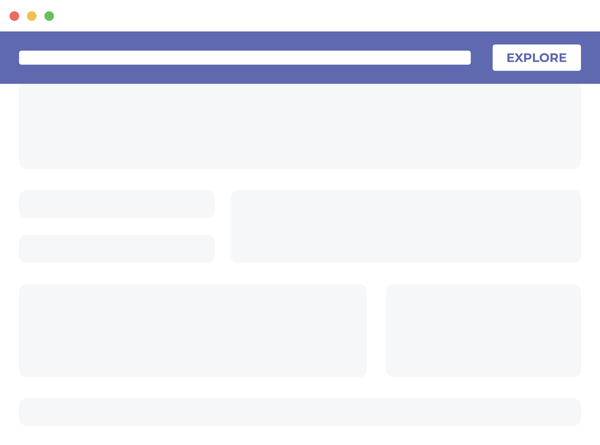 We built our Design Canvas to let you design and build your campaigns however you would like. It’s easy and simple to use, with powerful features, plugins, layers, fonts, and custom code. Stand out from the crowd with beautiful and unique promotions and messaging. A/B testing your campaigns can yield powerful and lasting results. Not sure if the colors are right? Start an A/B test and see which one performs better. Want to see which targeting rules to use to reach different customers? Get your A/B tests setup with ease, and track the results. Our advanced targeting rules are one of our most advanced and extensive features. Fine tune the delivery of your website campaigns to reach your customers at exactly the right time. From geo-targeting to specific ad campaign traffic, you have the power to curate when and how your campaigns appear. Our extensive template library will get you setup quickly and easily. Need a holiday promotion or a special sale announcement, but don’t have the time to create one yourself? Browse through our template library and find what you need. Integrate your marketing stack with our custom embed option. Justuno is a powerful addition to your e-commerce store. Seamless integrations allow you to curate your customer’s experience, up-sell related products, and offer discounts and incentives.